Every son probably has imitated their father at some point (either intentionally or not). 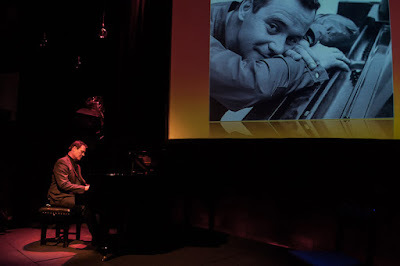 But when your dad is actor Jack Lemmon, you know this is going to be a fascinating night out. Based on his memoir of the same name, A Twist of Lemmon at the St James Theatre studio is Chris Lemmon’s way of giving us a little bit of insight into what it was like growing up as the son of a big Hollywood star. With some simple projections and footage from his career, Chris’s one man show brings to life his father. His mannerisms, his movies, and most of all, his relationship with his son. It is an evening of gentle storytelling, but clever in how it describes not just the life and times of his father, but their at times complex and difficult relationship. Alongside this there are the Hollywood stories. Getting a big break. Winning an Oscar. Late night parties with James Cagney and Gregory Peck singing Gershwin songs. Chance encounters with neighbour Marilyn Monroe and her important guest. It is a unique and enthralling story. But the end of the show gets its strength from the relationship between the father and son. It is particularly striking how the topics such as divorce and absent fathers are given such a fair and even handed treatment here. Music is also an important part of the evening. Chris, who graduated university with degrees in classical piano and composition along with theatrical arts, picked up his father’s passion for music. He also became an actor and a golfer. And while he may not have become the star his father was, you suspect he became a better musician and golfer than his dad. Even if Chris is too polite to make that point. The intimate space of the studio at the St James Theatre is the perfect venue for this story. A story of old Hollywood and living not in the shadow of big star, but alongside him. 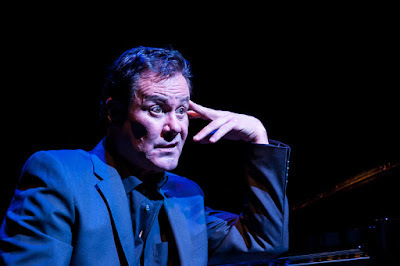 A Twist of Lemmon is at the St James Studio through to 18 June. There is also a post show Q&A with Chris on 9 and 16 June which is free to ticket holders who attended the show on that night.